In the colder months in Jackson Hole many outdoor activities become much less desirable, but luckily there remains plenty of indoor activities to get you through. One of our favorite activities in town that keeps you out of the cold, is visiting some of the great art galleries and museums that Jackson has to offer. We broke down a couple of our favorite places to learn about western history as well as see some beautiful art. Life imitates art, better yet Wildlife imitates art… Something like that anyway. 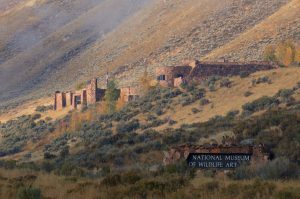 This beautiful museum (inside & out) overlooks the national elk refuge and is home to a variety of fine art dedicated to wildlife. With art from explorers and original artists who first showed the world glimpses of what the American West looked like, you will find yourself gazing at some beautiful and historic pieces that represent what the wild west has to offer. 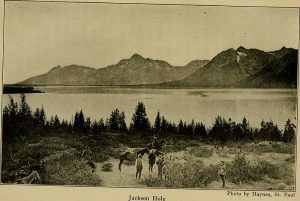 Right next to Jackson Town Square, this museum gives you the most complete view into the history of the Jackson Hole, Grand Teton, Yellowstone, and the surrounding region. Well represented are artifacts from the native Americans, fur traders, and ranchers that lived or settled in the region. This museum was founded over 50 years ago and serves the area as a reminder of what the valley was built on and continues to represent to this day. There are a very wide variety of art galleries in Jackson, so we will briefly cover a few of the ones that stand out to us. For an extensive list of art galleries in town visit the Jackson Hole Chamber of commerce. Astoria Fine Art – Located on the Town Square next to Jackson Drug, Astoria features a varied collection of works from both historical and contemporary artists from 25 states and 5 countries. Much of the art focuses on Western landscape and wildlife, but there is more than just that including fantastic bronze sculptures. Tayloe Piggott Gallery – With art from over 60 different artists from all over the US and well beyond this gallery features mainly contemporary art. Located on S. Glenwood next to Gather, this gallery frequently has new exhibits and is highly recommended. Wilcox Gallery – With two locations, one on the north side of the Town Square and one further north on highway 89 past the Flat Creek Inn on the way to Grand Teton National Park. This gallery features world-class sculptures and paintings revolving mainly around western themes and currently representing 40 nationally and internationally known artists. Ringholz Studios – One of Jackson’s most recognizable and burgeoning artists, Amy Ringholz, captures the soul of Jackson and Wyoming while taking artistic liberties to form her unique style. You can visit her studio on Broadway about a block east of the square. RARE Gallery of Fine Art – 6000 Square feet of fine art, this gallery features art from American legends Andy Warhol and Ansel Adams, as well as contemporary artists and sculpturists. RARE is located on the Southeast corner of the square next to JD High Country Outfitters.